Jané Limited Edition – Changing Bag. 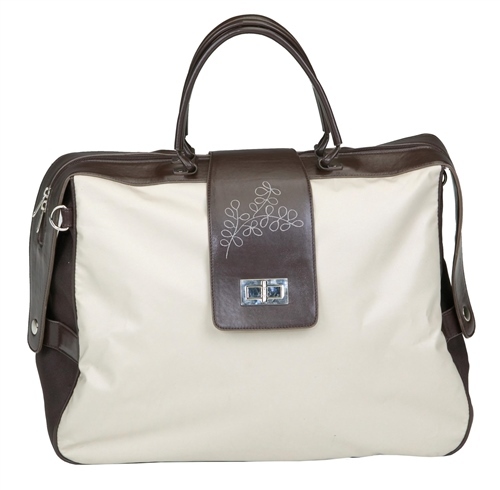 Stylish and functional changing bag, ideal for carrying everything your baby could need. Its sleek design and functional interior make the Jané Limited Edition bag a permanent accessory for parents and non-parents alike. This bag includes a changing mat, numerous compartments / pockets, wash bag and a thermal insulated bottle holder, making it suitable for any situation from play dates to an afternoon meeting. Carefully designed, right down to the last detail, with quality zip. Stylish roomy changing bag with multiple pockets, sections and compartments for all those baby’s bit and pieces. Includes a changing mattress so baby’s nappy can be changed quick and easily when out and about. Handy clip to hold keys. Includes a thermal insulated bottle holder. Designed to keep water warm or your baby's milk cool, perfect solution when you’re out and about. Detachable side fasteners that let you use the bag on any handlebar, making it attach easily and securely to the buggy. Top quality fabrics, quality zip, easy to clean, pocket fastening straps. Universal design so it can adapts to all the pushchairs on the market. A range of Jané Limited Edition coordinating footmuffs (Nest Plus) are also available to complement this changing bag. What are the measurements of the bag?